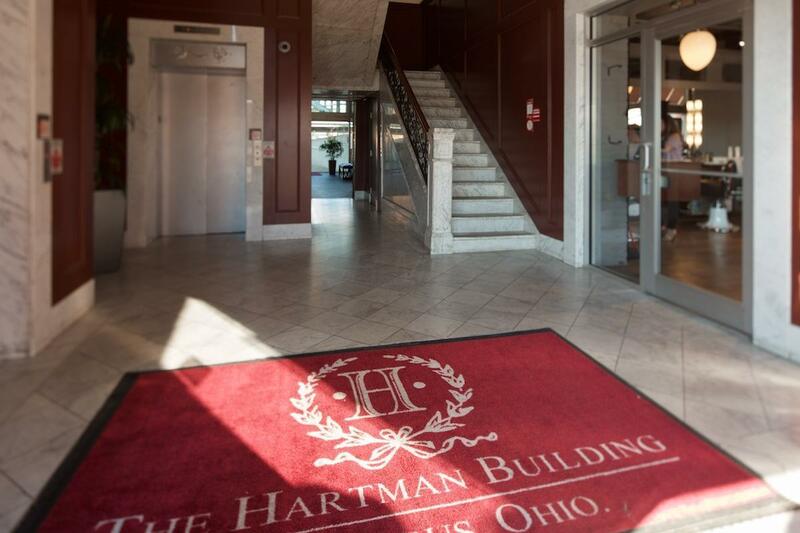 Beautifully updated & maintained classic urban loft-style condo in historic Hartman building (WITH PARKING SPOT INCLUDED), steps to over a dozen popular restaurants, pubs, cafes, as well as Capitol Square, Columbus Commons and Downtown riverfront. 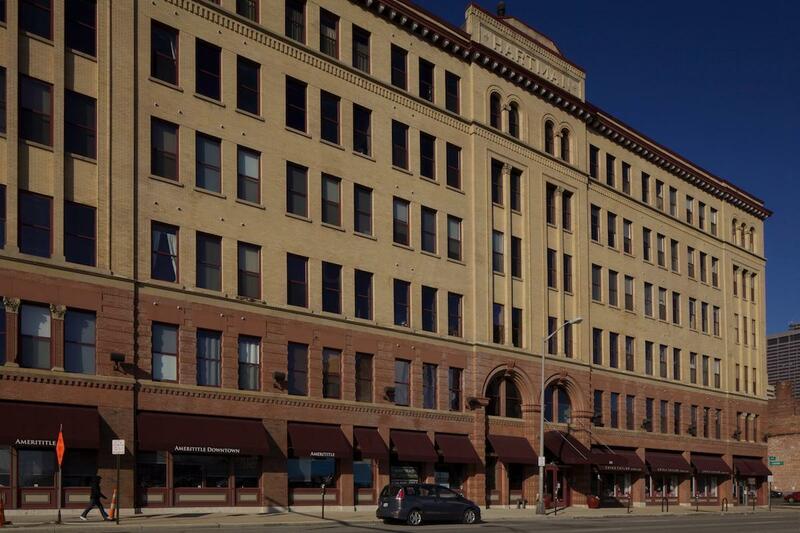 CORNER unit features natural cherry hardwood floors, exposed natural brick walls & natural wood beam ceilings (12ft tall), many large windows (modern commercial grade insulated glass windows). 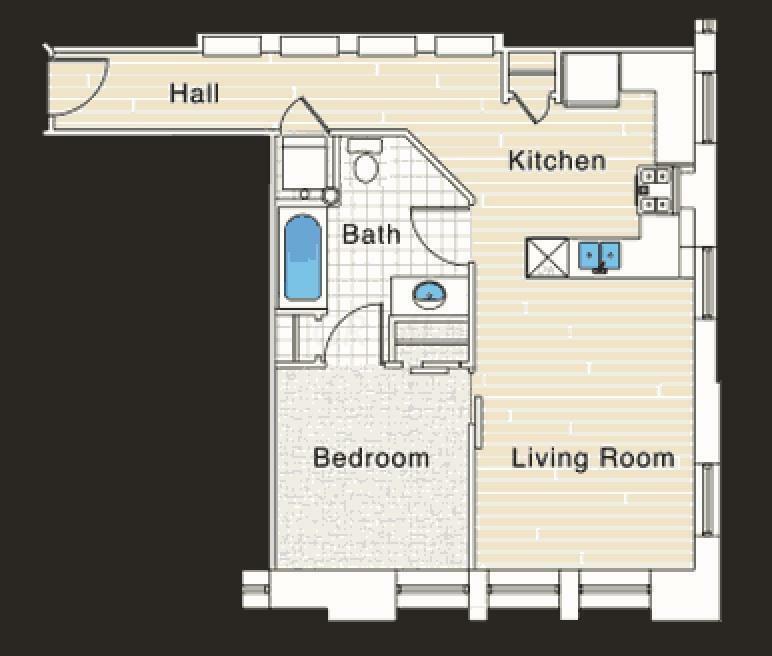 Floor plan has XL kitchen peninsula, oversized bathroom, in-unit laundry. 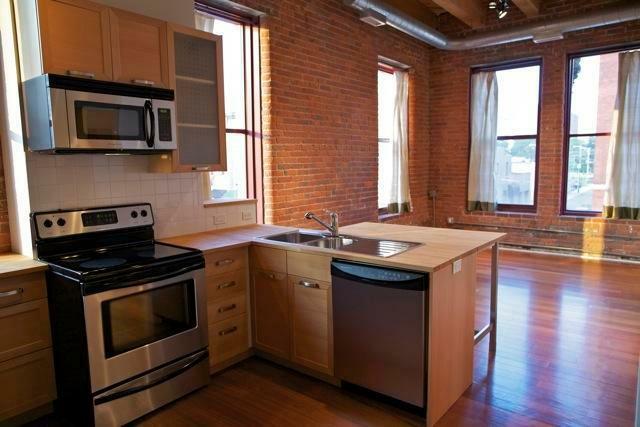 Kitchen has natural wood cabinetry butcher block countertops, SS appliances. Unit also features abundant lighting fixtures. Unit includes 1 assigned carport parking space in secure lot. Additional storage unit on same floor included, and common bike storage in basement. FHA approved.